Tomato plants are vining and pubescent and their stems abundantly branch near the ground. Hundreds of different tomato varieties are produced and eaten worldwide: indeterminate varieties have plants that continue to grow indefinitely, while the plants of determinate varieties stop growing after forming a certain number of fruits and leaves. The inflorescences, usually clustered, take place between nodes and the flowers bloom from the first leaves. The plant is usually grown for its fruit that is a big, red and ripe berry, available in different sizes and shapes, depending on its variety, on its species or on its processing. Recently, in fact, there have been several tests for the production of hybrid tomatoes, that come from the combination of two different varieties of tomatoes. The tomato plant grows usually in temperate-hot climates, tomato seeds need a temperature of 12-13 °C to germinate and a temperature of 22-25 °C to develop and to yield. Any kind of soil can be appropriate for growing tomatoes, even though it prefers medium soil mix with a good drainage. The tomato plant needs much water, therefore rescue irrigations are necessary during the most hot seasons. Tomatoes also need to be earthed up when they are 20-25 cm tall. Furthermore, tomatoes are subjected to different physiopathologies (sunscald, fruits’ cracking) that can be controlled only through appropriate agronomic techniques and suitable varietal choices. Tomatoes have little food value, while their vitamin value is very high: the typical red colour of this fruit suggests the presence of lycopene and of beta-carotene, a precursor of A vitamin. Tomatoes are also rich in C vitamin, citric and malic acid. You can obtain further information on tomatoes by addressing to certified tomatoes’ farms, tomatoes’ producers and also to retailers, wholesalers, etc. 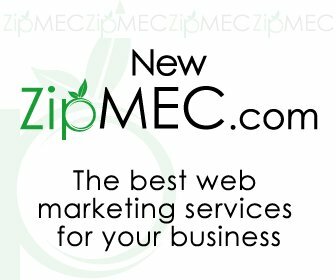 that you can find on our website www.zipmec.eu, the biggest and up to date world database of fruit and vegetable farms, wholesalers, importers and exporters of tomatoes and other fruits or vegetables.